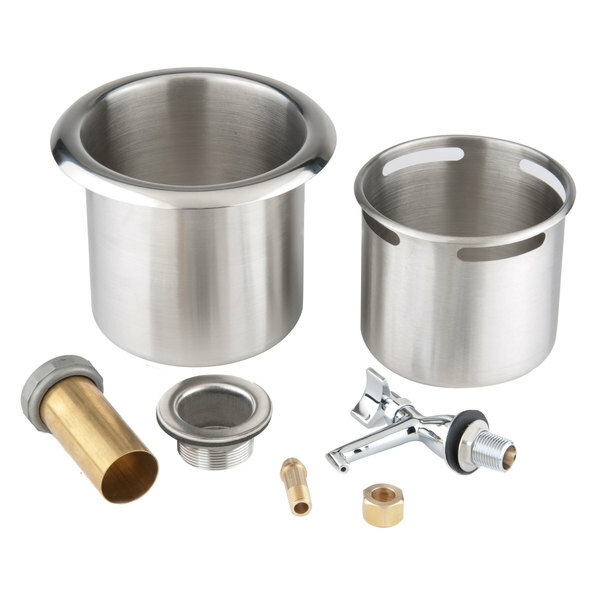 Are dipper wells vendor specific to dipping cabinets? No, as long as a dipper well fits in the space that you have, you can use any well with any cabinet. Perfect for busy ice cream shops, this dipper well set comes with a drop-in bowl and a faucet, which install easily into your countertop and will help prevent cross-contamination and flavor transfer when rinsing flatware, ice cream scoops, and more! 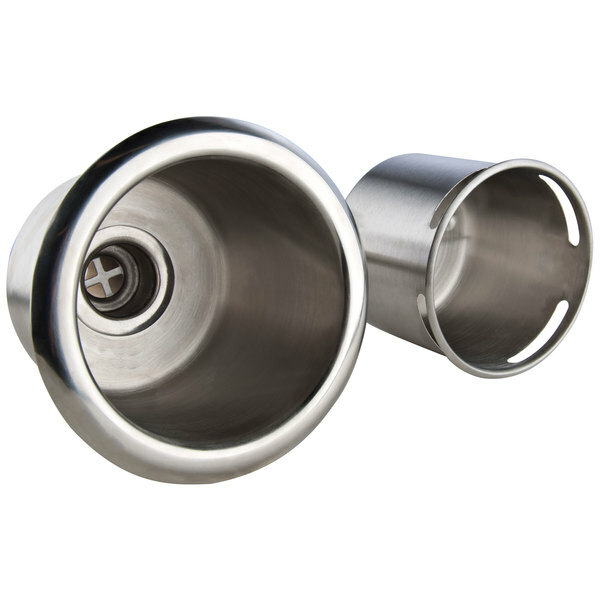 The faucet is made from attractive and durable chrome plated brass, and it has a 2" nozzle and 1 7/8" clearance from the faucet outlet to the flange. 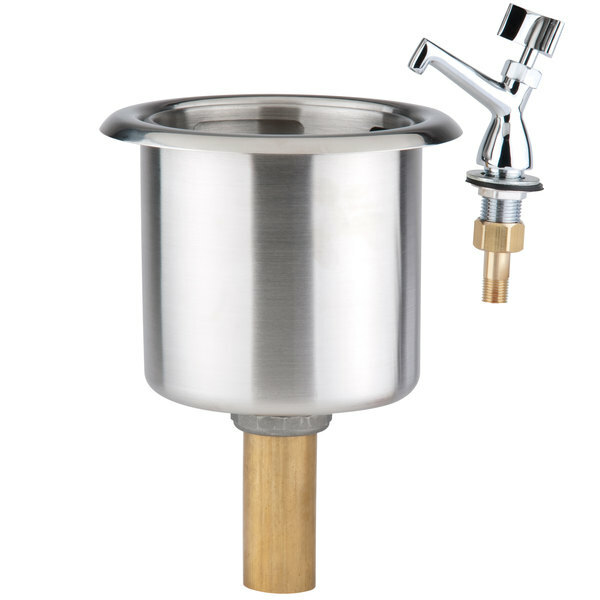 The stainless steel dipper well bowl has a 5 5/8" opening to easily hold your ice cream scoops without obstructing water flow. 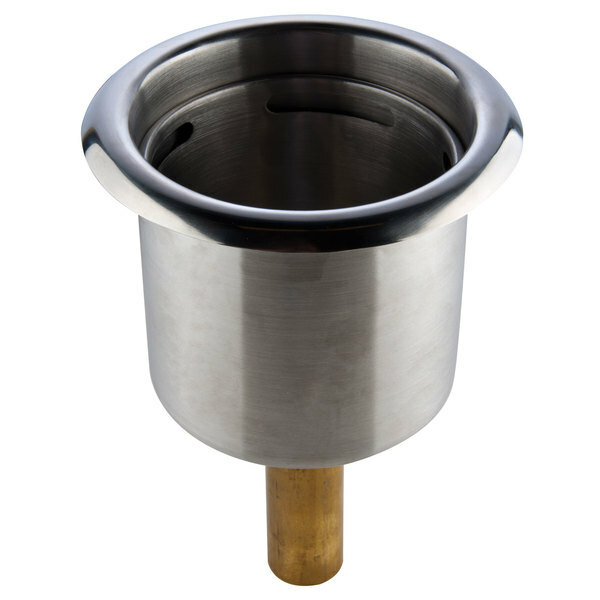 The included inner bowl and 3 1/4" long copper pipe allow this unit to handle overflow and drainage with ease. It requires a 5 3/4" cutout for installation and can be used in countertops up to 11/16" thick (or 13/16" without washer). Height (including pipe): 5 3/4"